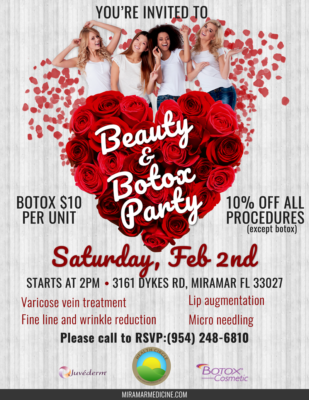 On Saturday, February 2, 2019 at 2:00 P.M., Health Circle will be hosting a Beauty and Botox Party and you’re invited! 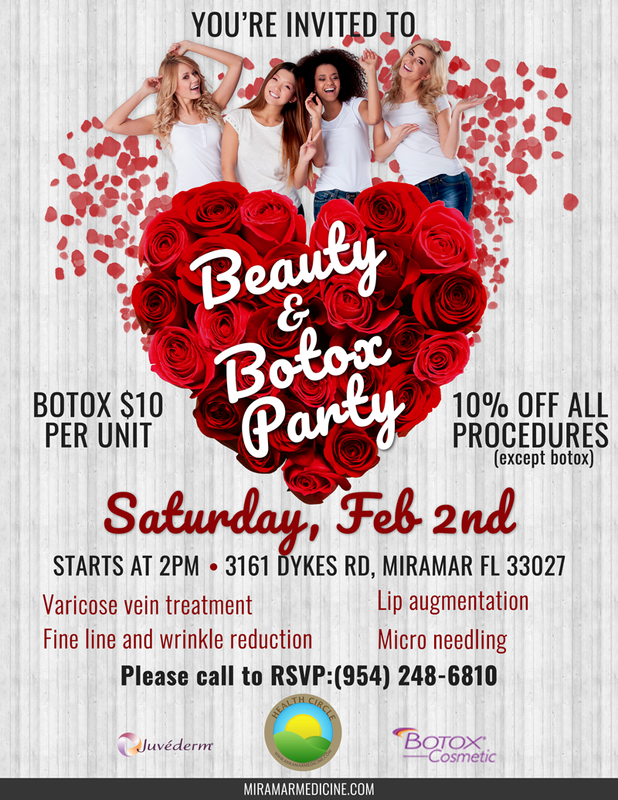 Join us for our Beauty and Botox Party, which is being held before Valentine’s day. Come in and get great discounts on Botox and all other beauty procedures.